Today I pulled the onions, I'd have liked to have left them a little longer but the on/off rain and sunshine was beginning to make them split and the battered down leaves were catching fungus and disease from the earth. So they're now nestling in the Tractor house on a netting frame and will stay there for a few weeks until they're cured. I picked the first greenhouse tomatoes yesterday. Nowhere near a record but the plants themselves were living outside for their first two months of life so it's hardly surprising they're not much earlier than the outdoor crops. The greenhouse tomatoes are showing signs of virus stress with mottled and disfigured leaves. I'm so cross about that, but will just have to put it down to experience. At least some of the plants are going to produce good crops if I keep the watering constant, which is something. Still no blight but that's only going to last for so long. I can take the tops off of the spuds now if there's any sign of trouble, this won't work with the outdoor tomatoes of course so still fingers crossed there. Beans; these are not doing anywhere near as well as I'd hoped. I've had reasonable crops from the Annabel. The Ice Crystal Wax are flowering but very poor setting. The Royal Red and Orca are growing on, still too early to panic there although I'm tempted, it is nearly August. In the climbing beans the Giant Purple appear to be doing o.k. as are the White Emergo runners although neither sort has set much yet. Riana's beans look rather weaker than last year, and the Mayflower beans are slow at the best of times. The Carter's Polish are also doing o.k. 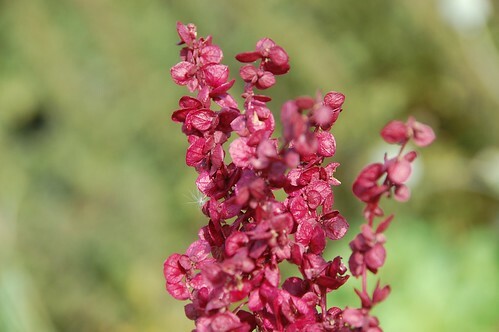 The plants are big and strong, with pretty mauve flowers and the first pods setting are mottled with red. I think they'll be fine but the Striped Bunch have me quite worried. Only four plants survived a slug attack shortly after planting out and of these four, two are climbing well and two are not being mostly bushy with very short runners that don't catch on to the poles. That could just be natural expression as beans are sometimes affected by environmental factors and will change habit as a result of it but worse than that some plants have round pods and some have flat. 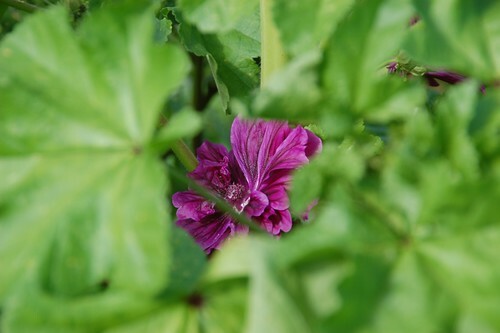 The most vigorous plant has many flat pods but I'm sure the little I could find about this variety on the web suggested the pods should be round. So it looks like these seeds aren't a pure selection and I won't be able to offer them for swap with a clear conscience. A pity. My beans suffered from late frosts, but some of them are doing well. I've only planted climbing beans this year, but I'm hoping to squeeze in some dwarf varieties next, if only to have seed for swaps. We were lucky with frost here, very little problem (it was too dry, but that's another story). I am a bit disappointed with this bean season but there are plenty for me to eat so I shouldn't be.